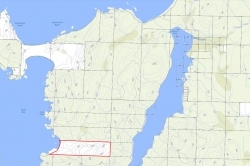 Cape Scott - Welcome to NIHO Land & Cattle Company Ltd. 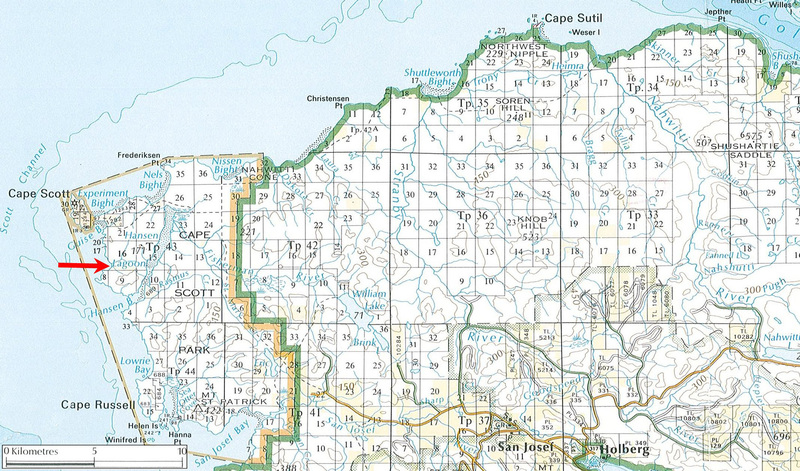 Fractional South 1/2 of South 1/2 of Section 16, Township 43, Rupert Land District 49. 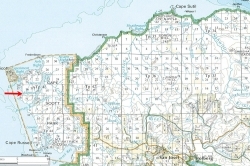 Fractional Southeast 1/4 of Section 17, Township 43, Rupert Land District 49. 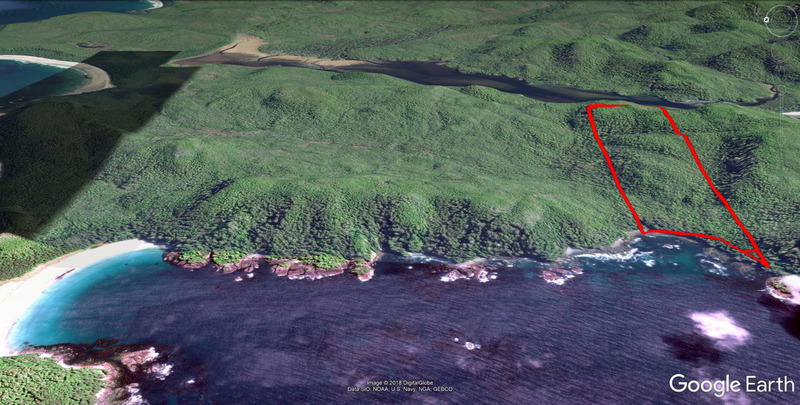 This is a beautiful, very private parcel of land and except for the beach area is mostly covered in old growth timber. 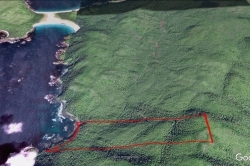 The property rises gently from the beach east to the centre. Total rise is about 400 feet on the east side. 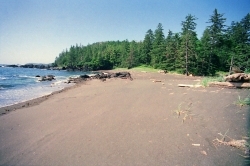 The beach is mostly sand with a few rocky outcroppings in some areas. 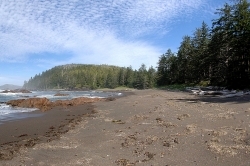 The property is located in a bay, which is one of only five in Cape Scott Park on the west shoreline. 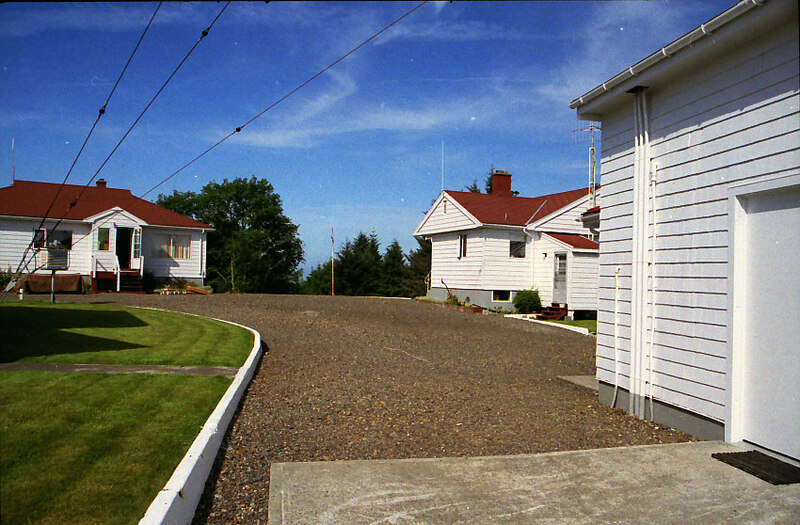 The east side of the property is only ¼ mile from Hansen Lagoon. 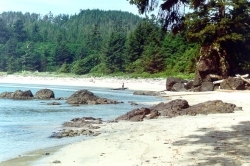 Guise Bay is about 1½ miles to the north and Hansen Bay is approximately one mile to the south. 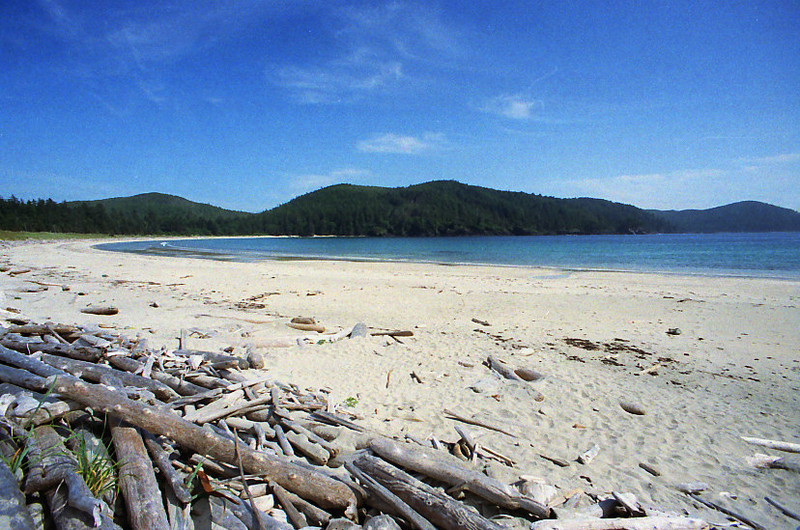 Hansen Bay runs into Hansen Lagoon, which is due east of the property. 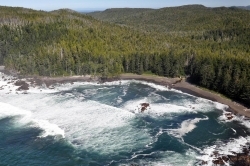 Spectacular, private, pristine, unique – these all describe this property. 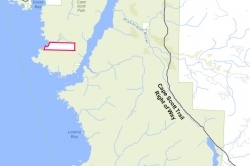 Access to the property is by boat, floatplane, helicopter, and foot. 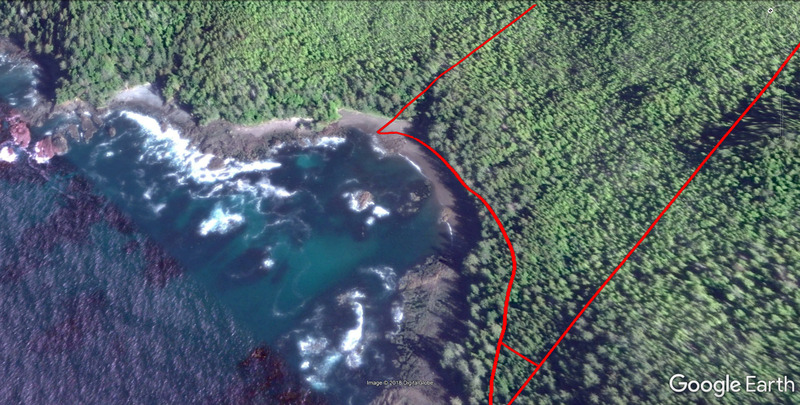 There is no direct road access. 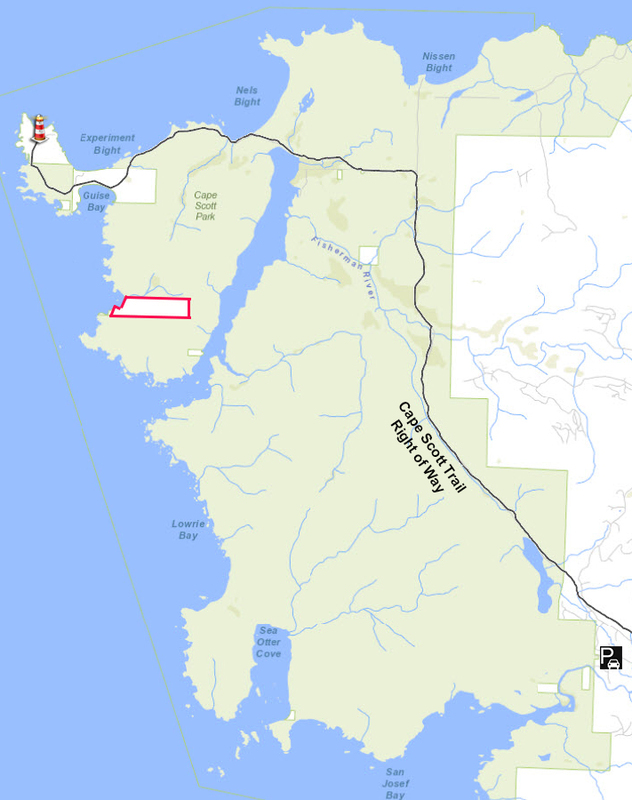 Car/Foot – travel due west from Port Hardy, on Highway 19, to the town of Holberg. 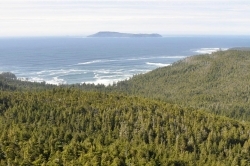 From here continue west for 10 miles (16km) to the beginning of the Cape Scott Trail. 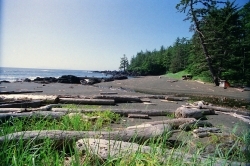 There is parking lot for vehicles at the southeast boundary of Cape Scott Park. 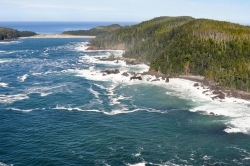 From here there is a well-cut hiking trail, it is approximately 14 miles (23 kilometres) to the Cape Scott Point. 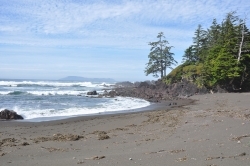 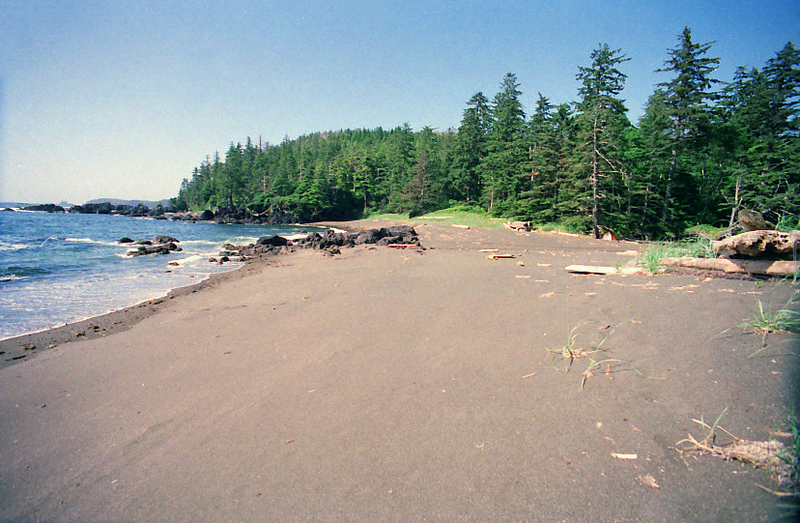 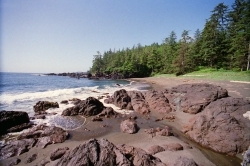 The property lies about 1-1/2 miles on the west coast south of the main hiking trail. 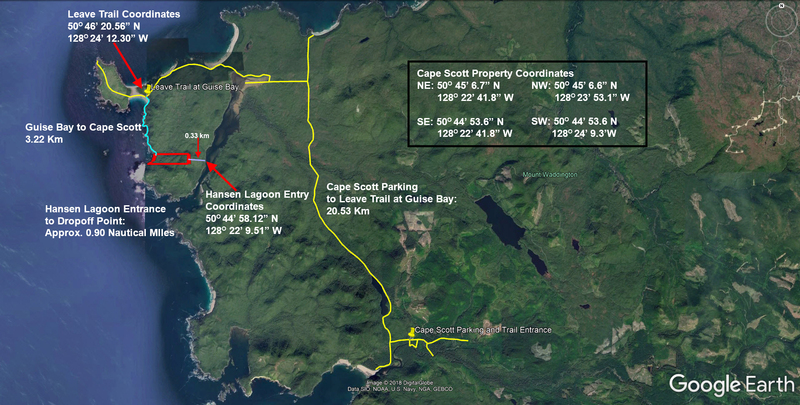 There is also an old trail from the original Cape Scott Settlement, heading due south to within half a mile of the property. 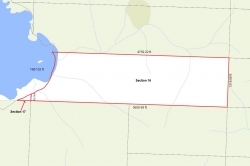 It is very important to note that no constructed trails exist to the property boundaries. 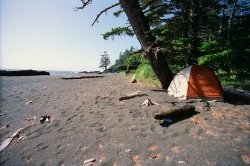 Boat launching facilities are available for cartop boats, kayaks and canoes at the Western Forest Products campground on the San Josef River near the eastern boundary of the park. 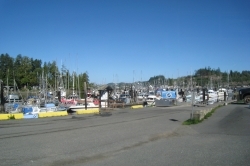 Winter Harbor 20 km (12 miles) south of Holberg has a marina and store. Northern Vancouver Island is ideal for the outdoor enthusiast. 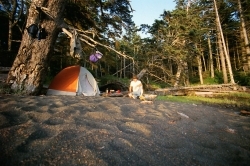 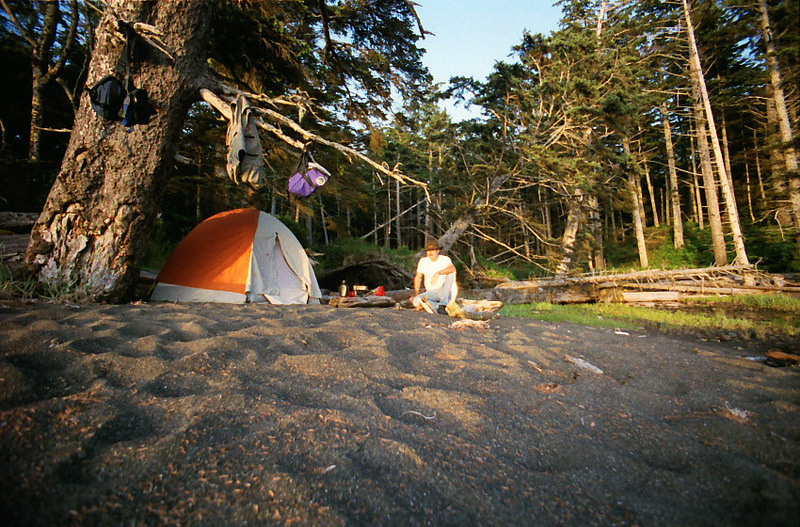 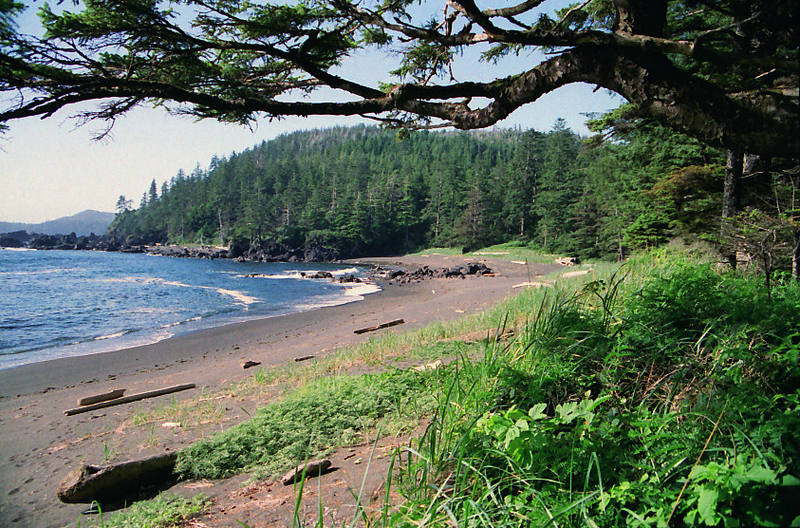 Cape Scott Provincial Park is ideal for hiking, and has sites for hike-in wilderness camping along the main trail. 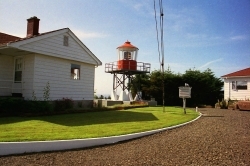 The Cape itself is attached to Vancouver Island by a sand bridge called Sandy Neck and hikers can climb a wooden plank road to the lighthouse for a spectacular view. 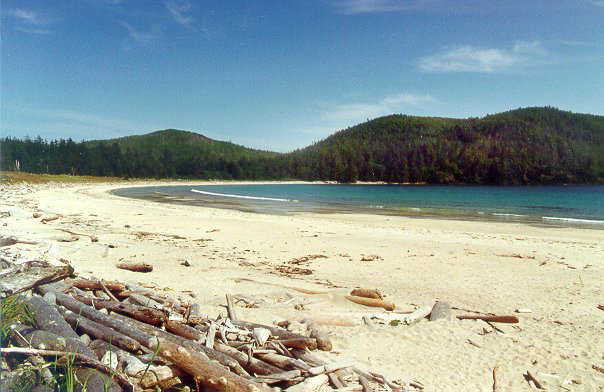 The park is a paradise for kayakers with miles of beautiful white sandy beaches offering spectacular scenery. Several varieties of birds are found in the park including blue herons, spotted sandpiper, sandhill cranes, and trumpeter swans. 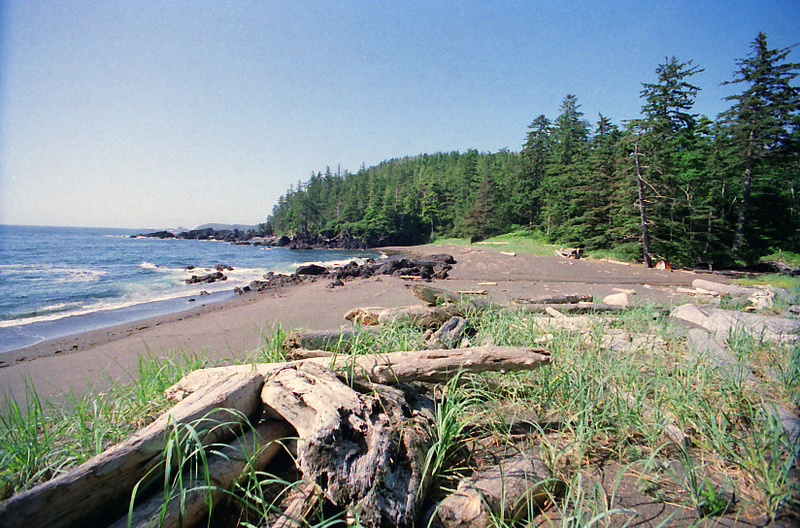 Hansen Lagoon is also a resting area for migrating waterfowl – one of the best on the northwest coast. 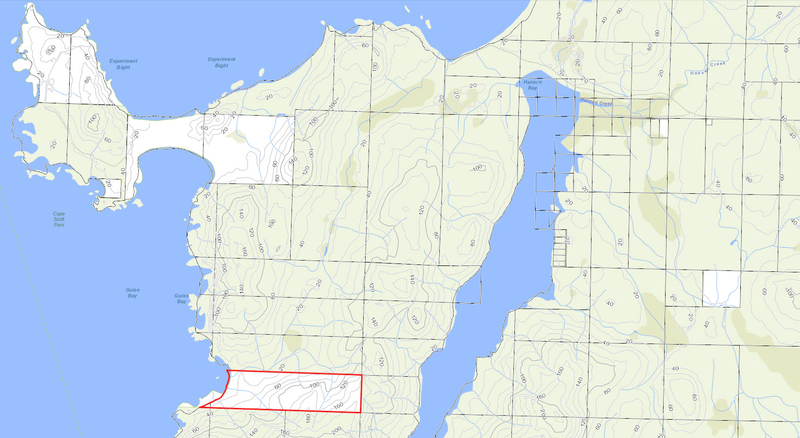 There is a fairly large population of deer and some elk in the area. 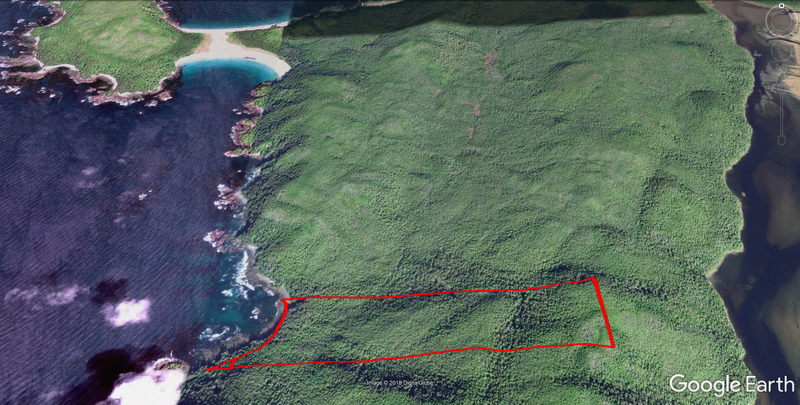 The surrounding area of the property is fairly remote, except for hiking trails throughout the park. 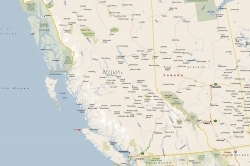 The nearest main roads for automobiles are some 14 miles (23 kilometres) to the south. 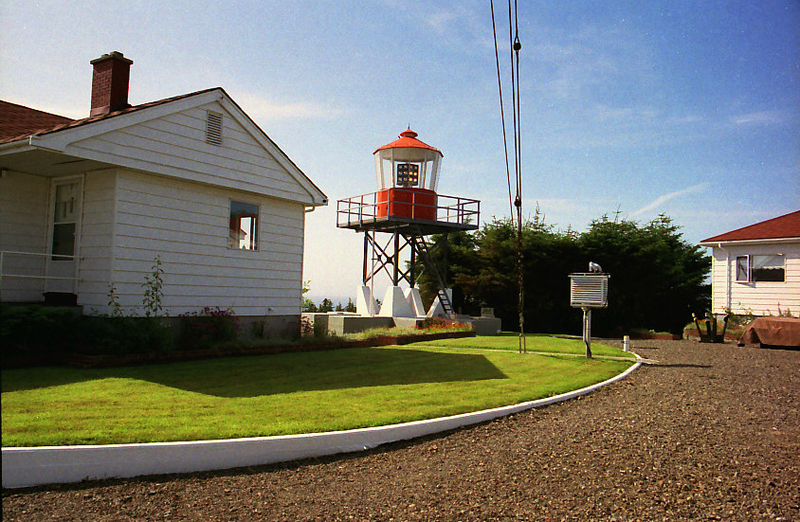 There is a lighthouse at Cape Scott 3 miles (4.8 km), located outside the Park, which is inhabited year-round. 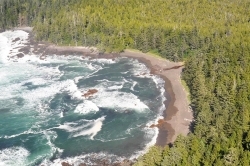 There is also a ranger station approximately 3½ miles (5.6 km) due north of the property which has two rangers in attendance during the summer months. 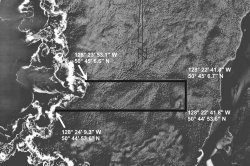 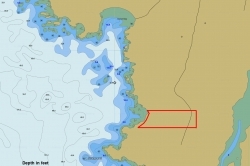 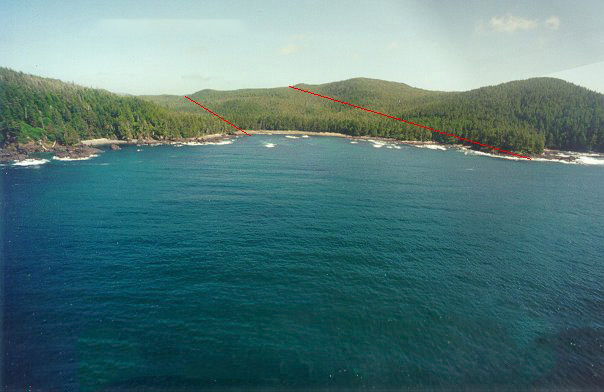 Nissen Bight is two miles north of the property. 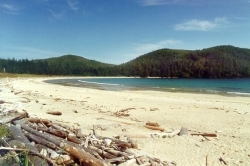 Nels Bight is three miles northwest of the property, which has a fine-textured white sand beach about a mile and a half long, and considered to be the most impressive of the nine beaches in the park. 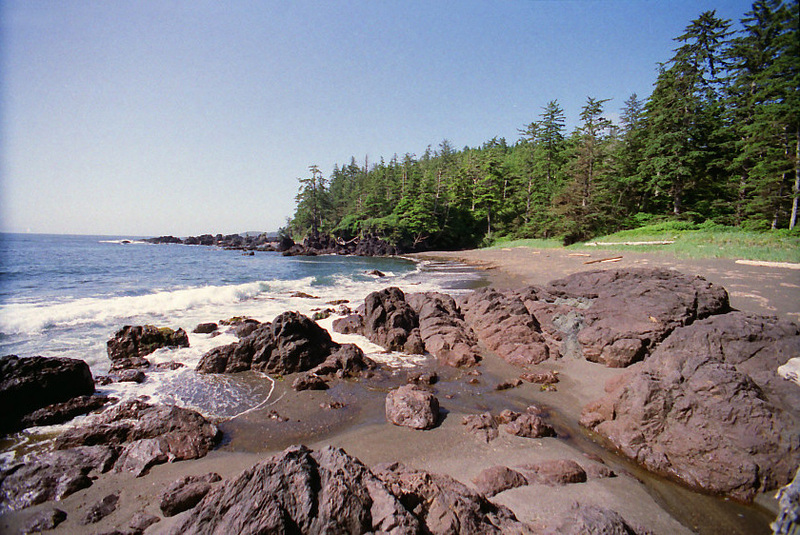 The beaches in this area are some of the most beautiful beaches in British Columbia. 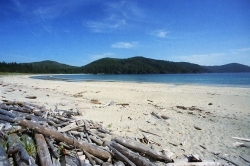 They consist of pure white sands with the waves rolling in and is one of the most spectacular places in British Columbia. 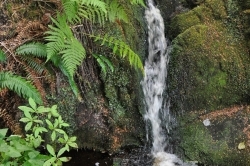 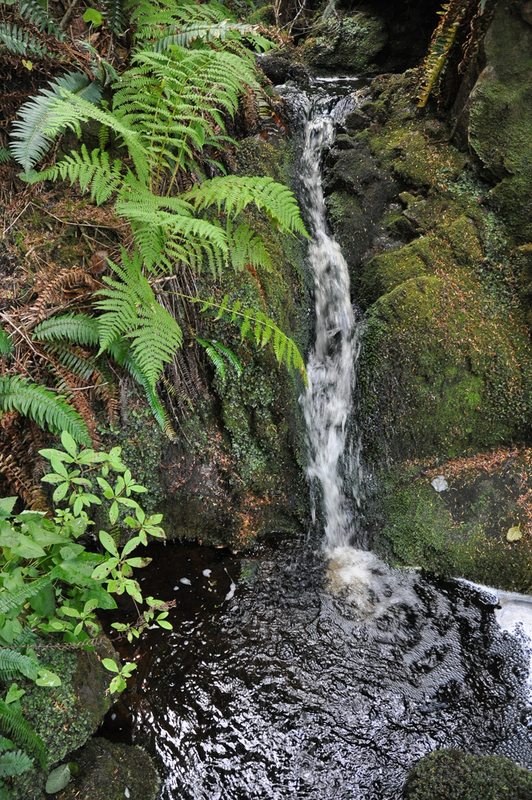 The climate of the Cape is unpredictable, with high rainfall and frequent windstorms. 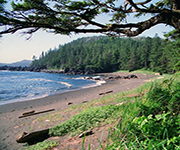 Summer months nevertheless offer days of warm sunshine adding to the enjoyment of one of the most spectacular and scenic areas of coastal British Columbia. 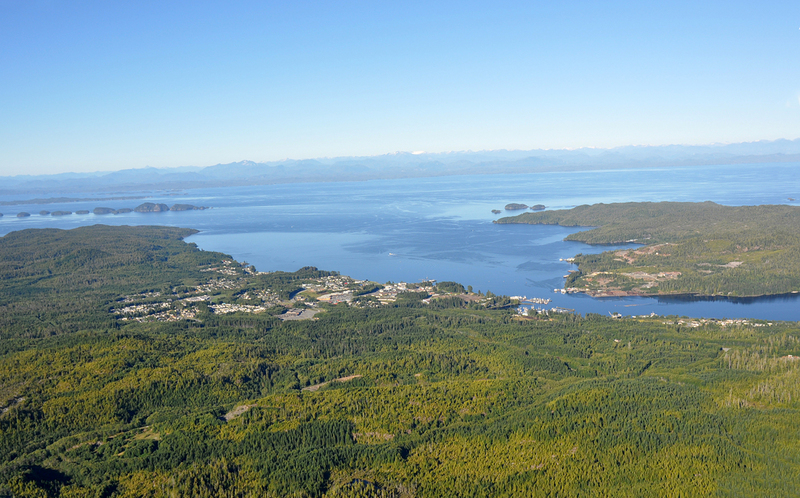 Port Hardy is a community of 4,008 people situated on a natural deep-water harbour at the north end of Vancouver Island. 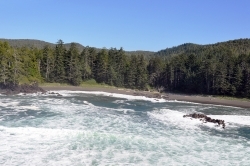 Mining, logging and fishing forms the current economic base for this community, but tourism and aquaculture are also fast growing industries. 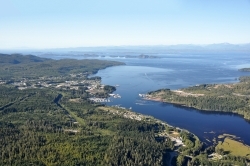 Port Hardy is now the second busiest port for aquaculture landings in all of British Columbia – second only to Prince Rupert. 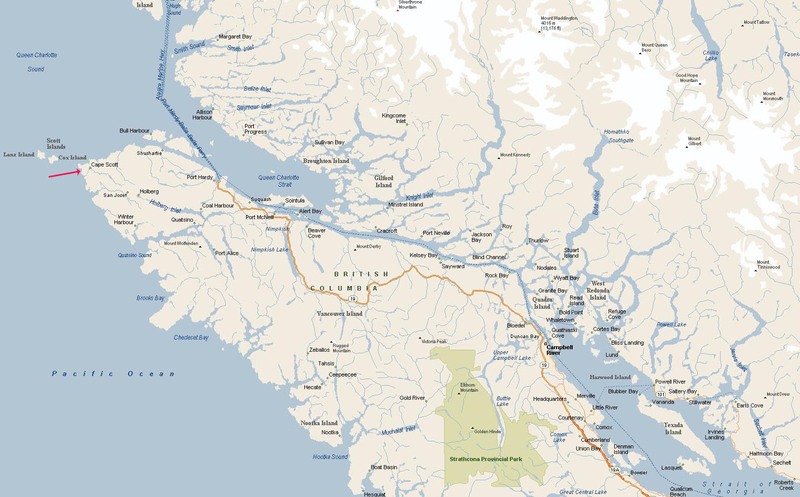 Highway 19, the main highway, connects Port Hardy with all major centres on Vancouver Island. 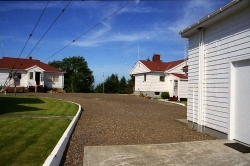 Victoria is approximately a seven hours drive on good paved roads. 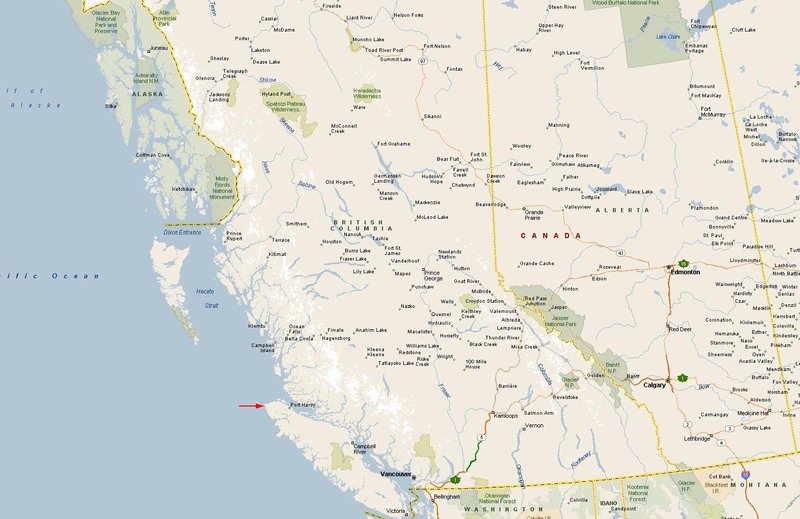 Port Hardy is also the southern terminus for the B.C. 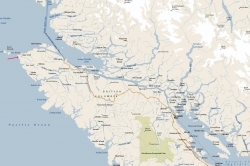 Ferries, which connects Vancouver Island with the Inside Passage communities and Prince Rupert, carrying 157 vehicles and 680 passengers per ferry. 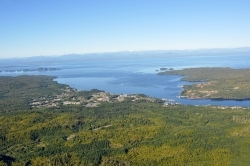 An airport, with two daily flights from Vancouver, serves the town and smaller charter companies provide commuter service. 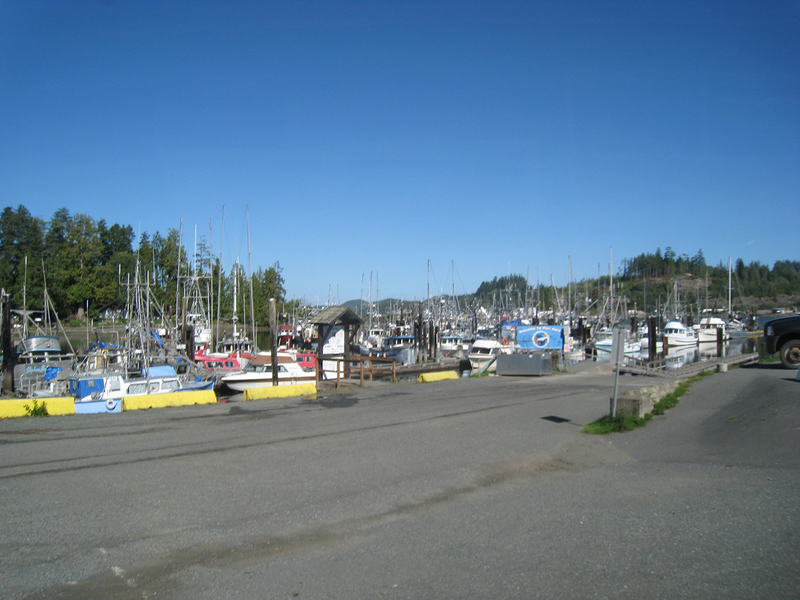 Port Hardy has a sea-plane base, a helicopter pad and is also home base for a fleet of about 123 commercial fishing vessels, which increases to over 800 from June to October. Port Hardy has one seafood processing plant, two seafood packing plants and a cold storage facility. 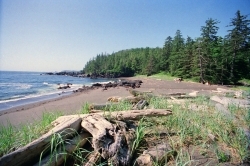 Three native peoples – the Tlatlasikwala, Nakumgilisala and Yutlinuk – shared the Cape Scott area prior to white settlement. 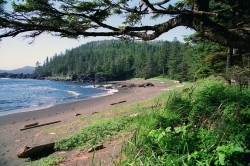 In 1786 Trader Trader James Strange arrived among the coastal islands near the Cape and named them after David Scott, patron of his expedition, and claimed the whole territory for Great Britain. 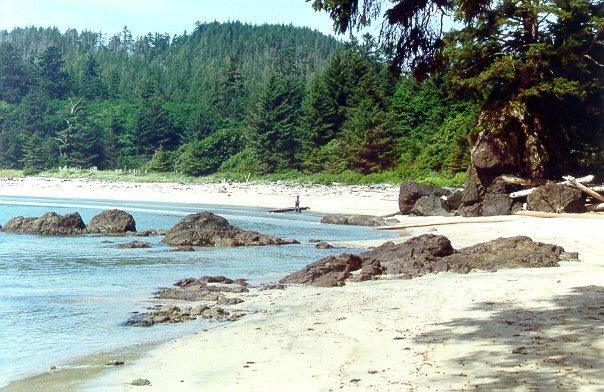 In March of 1897 Rasmus Hansen led the first expedition Danish pioneers to the northern end of Vancouver Island and a colony was established. 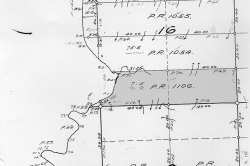 By 1899 the population was approximately 90 people. 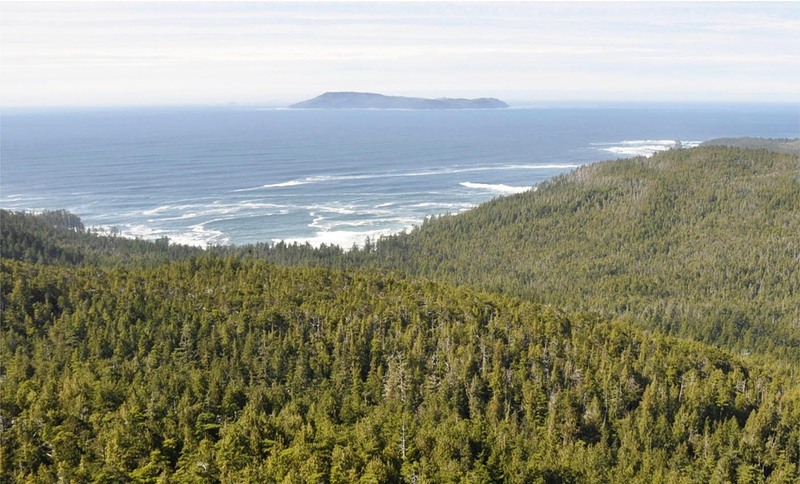 Some colonists built their houses of logs and some used whipsawed timbers and boards, but most made use of split cedar, the basic architectural material of the aboriginal Indians. The government promised the colony a road, which was never built, and pre-empted land, which was never granted. 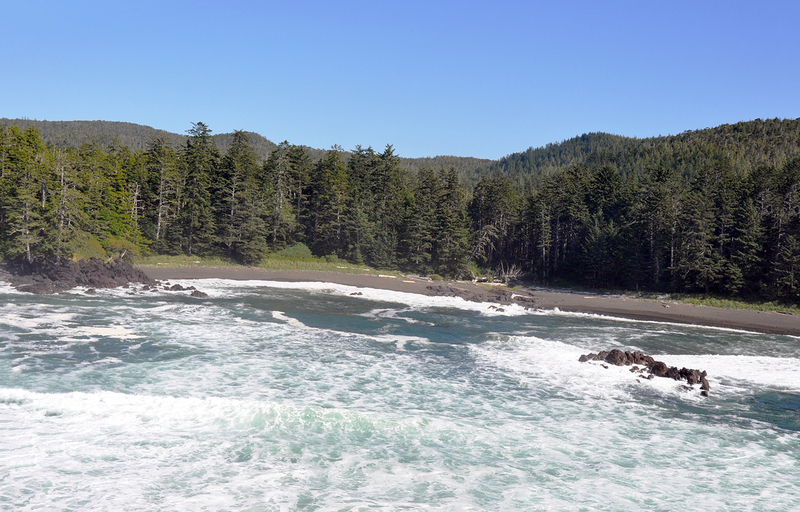 Around 1904 the colonist started moving further south around Holberg and San Josef Bay, on pre-empted land. By 1907 there was no port, no store, no post office and no village at Cape Scott. 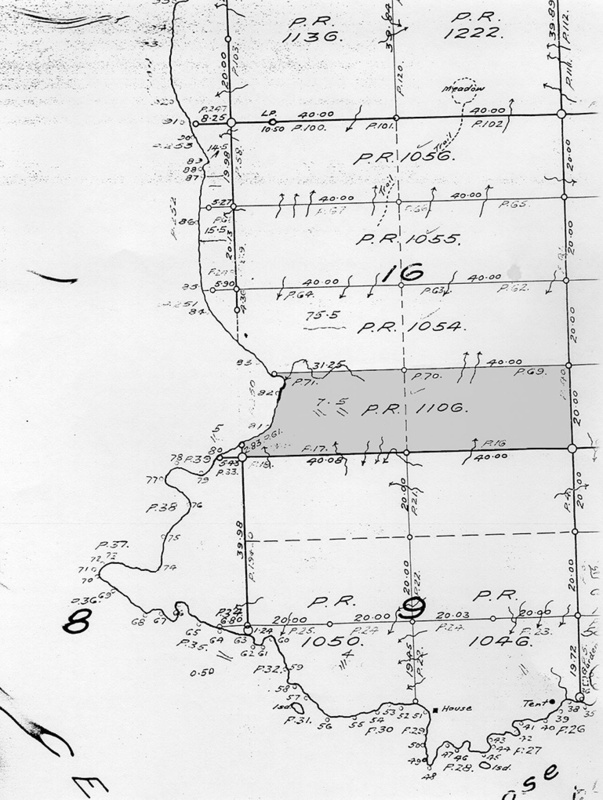 Again in 1910, hardy pioneers arrived at Hansen Lagoon to settle, raise crops and to fish. 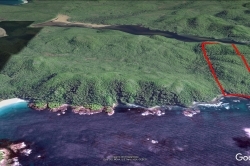 Today, little remains of the Danish settlement except the names – Nels Bight, Hansen Lagoon, Frederiksen Point, a few fragile buildings and other man-made relics. 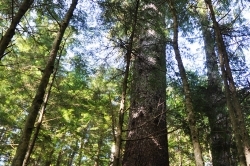 Almost all of the property is covered in old growth timber which consists of cedar, hemlock, balsam, spruce, pine and cypress. 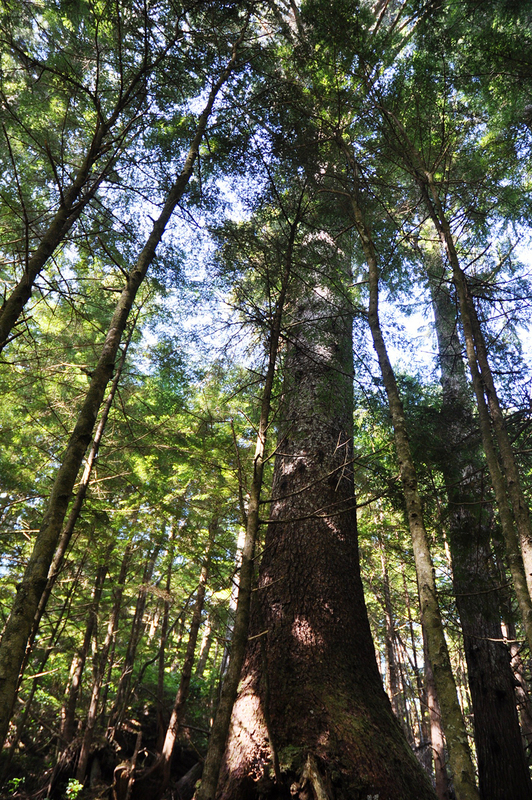 There are some big diameter trees on the property. 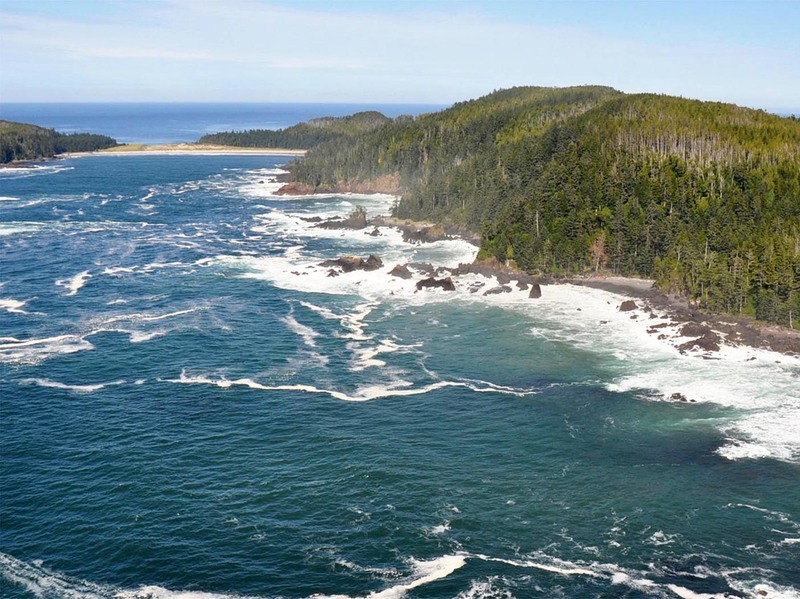 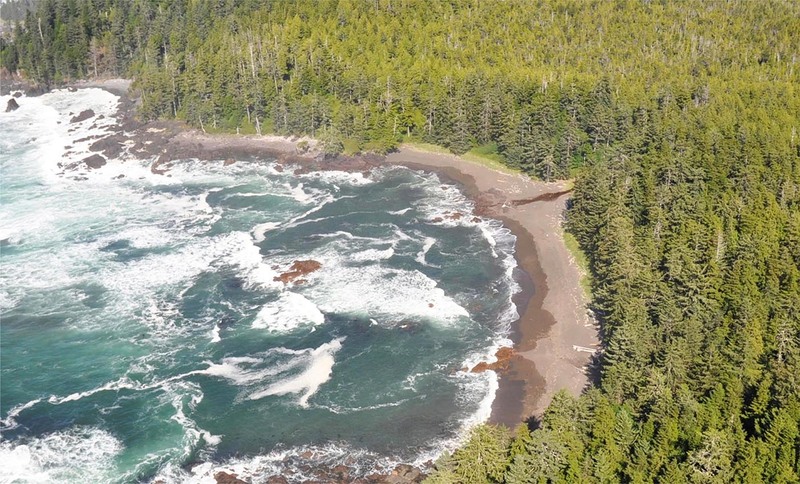 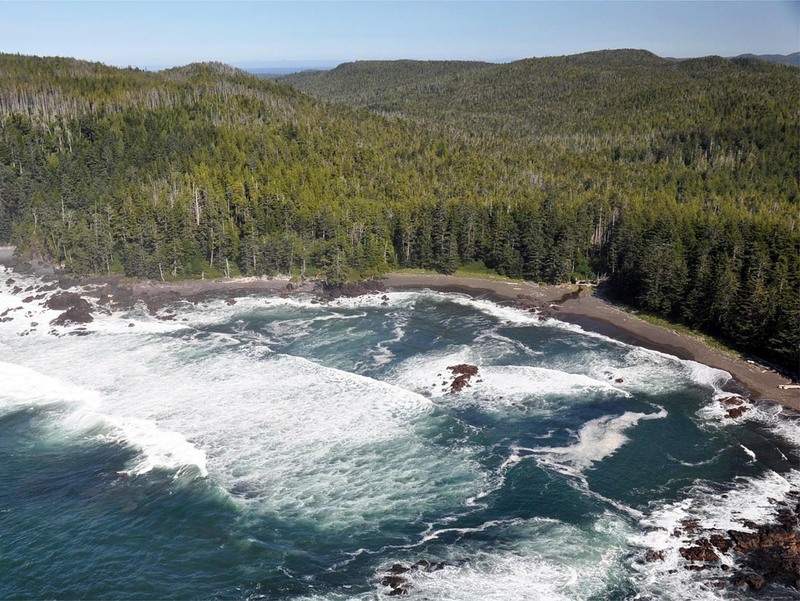 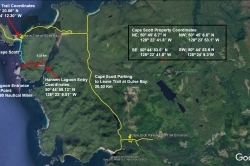 Our research shows a total of 10 private holdings currently in Cape Scott Provincial Park, of which NIHO owns two—Cape Scott and sister parcel Fisherman River. 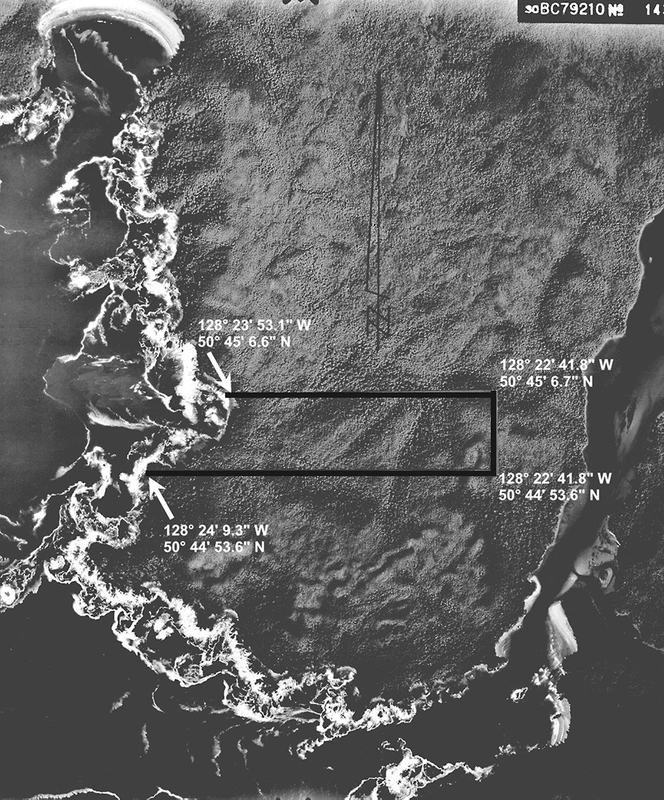 H. H. Browne surveyed the original boundaries, in October, 1913. 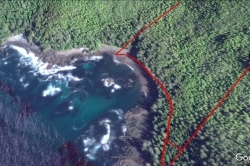 Survey lines were put in by blazes on the trees.